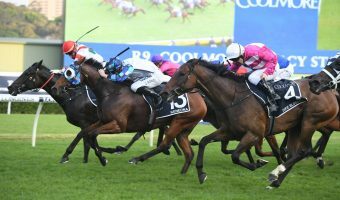 Front running mare Sheiswhatsheis is among the eighteen nominations for the 2018 Listed $100,000 Sky Racing Tattersall’s Mile (1600m) at Doomben. Sheiswhatsheis, above, is among the nominations for the 2018 Tatterasll’s Mile at Doomben. Photo by Daniel Costello. 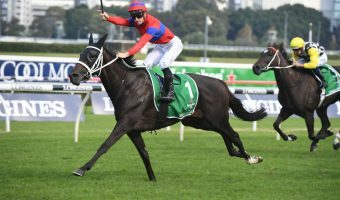 Sheiswhatsheis is a six times winner over the Doomben Mile and premiership leading trainer Tony Gollan has called upon the services of Brisbane’s leading jockey Jeff Lloyd again to partner the six year old mare. 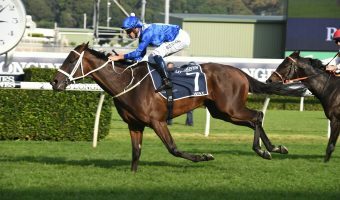 Lloyd has been aboard Sheiswhatsheis for her last four starts which includes an all the way win four runs back in the Listed $100,000 Members’ Handicap on May 12 as well as a last start fifth in the Listed $100,000 G.H. 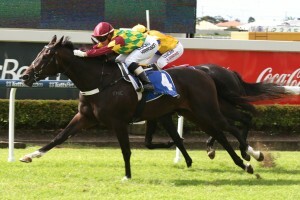 Mumm (1615m) at Doomben on June 23. “Sheiswhatsheis won the Listed Members Cup at the start of the carnival. 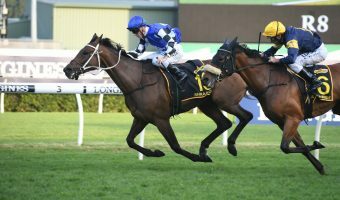 She does like the Doomben 1600 metres and the Tatt’s race is ideal for her,” Gollan told AAP. As the 2017 – 2018 racing season draws to a close, Gollan is in line to claim his fifth Brisbane Metropolitan trainers’ premiership while Lloyd, who has announced his imminent retirement for the saddle, will be crowned Brisbane’s leading jockey for the third consecutive year. Gollan is currently sitting on 86 metropolitan winners for the season, way ahead of his nearest rival Toby Edmonds on 55, while Lloyd has ridden more than a hundred metropolitan winners for the second season in a row and currently sits on 106 winners with Jim Byrne in second spot with 75. 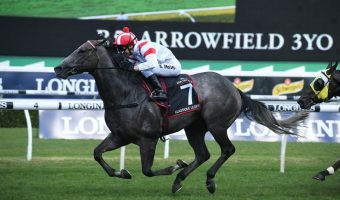 Rival Eagle Farm trainer Robert Heathcote has three horses among the Tattersall’s Mile nominations with last start winners Ruling Dynasty and No Annamossity as well as the seven year old Lordag. Ruling Dynasty is racing in great form and will be chasing a hat trick after wins at the Sunshine Coast and at Doomben while No Annamossity has been working his way up through the classes with two wins over 1350m at Doomben from his last three starts. Trainer Kris Lees has nominated the in-form restricted class mare Princess Posh while Chris Waller has entered Dagny, Religify and Vassal.